Do you LOVE lobster? 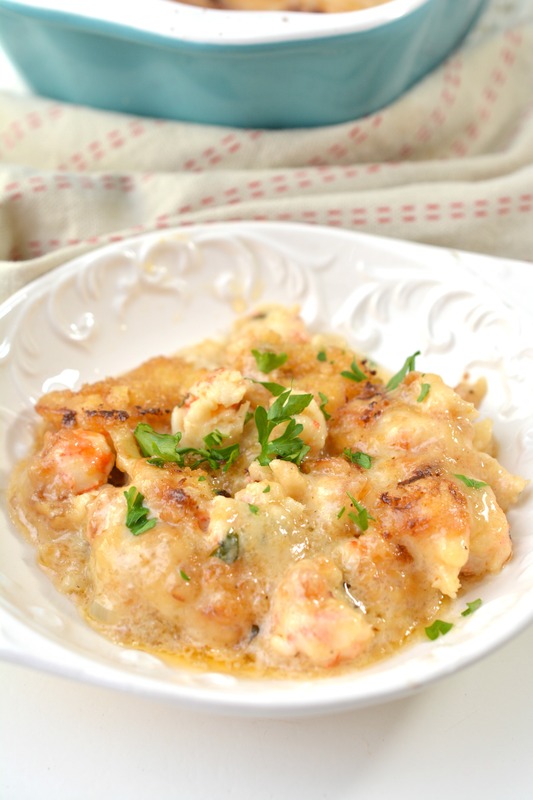 Lobster is one of those things that I would never consider “diet food”, but with this Keto Lobster Bake you can enjoy a delicious and healthy meal without the guilt. Plus, it’s something that you can meal prep and enjoy for several days. 2. Pour 1 ¼ cup of heavy whipping cream into a small saucepan, and place 1 lb of uncooked lobster meat in as well. 3. Cook the lobster meat in the cream over medium heat until it comes to a low boil. Do not overcook the lobster meat, or it will become chewy in texture. 4. Strain and reserve the milk from the lobster meat, and set both aside separately. 5. Heat up 1 tbsp of olive oil in a skillet over medium-high heat. 6. Cook the chopped onion in the skillet for a few minutes until it begins to become browned and tender. 7. Pour in 1 tbsp of lemon juice and 2 tbsp of chicken bone broth. Scrape the bottom of the pan to deglaze it, and simmer for an additional 30 seconds. 8. Add in the cream that was reserved from earlier. 9. Toss in the chopped fresh basil. 10. Mix in salt and pepper to taste as well as 1 tsp of garlic powder. 11. Add in the cooked lobster meat, reduce heat to medium, and simmer to cook down the cream mixture for an additional 3-5 minutes. 12. Place ½ cup of very finely crushed pork rind crumbs to a small mixing bowl. 13. Add ½ cup of shredded gruyere cheese, and 2 tbsp of melted unsalted butter. Mix the ingredients together, these will be the topping for your lobster bake. 14. Pour the lobster mixture from the skillet into a small baking dish. 15. Layer the pork rind and cheese topping mixture on top, and bake for 15 minutes until the top is browned and bubbly. 16. Remove the lobster bake from the oven, allow to sit for 5 minutes, and serve over cauliflower rice, freshly steamed broccoli, or your choice of keto-friendly vegetables.